Ariana Grande Approves Of Liam Gallagher's BRITs Tribute? It seems the singer was watching the Oasis frontman's performance of Live Forever at the awards ceremony as a tribute to the victims of the Manchester Arena attack. 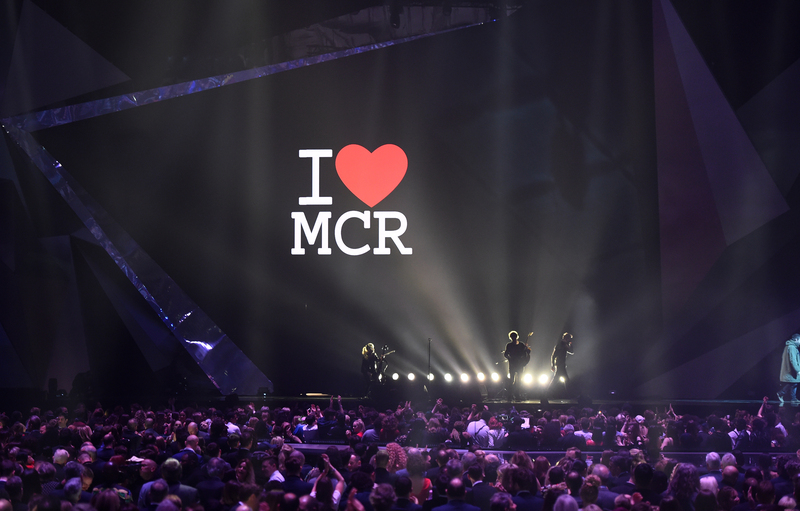 Ariana Grande has appeared to show her love for Liam Gallagher's BRIT Awards tribute. The rocker sung the classic Oasis track, Live Forever, at the star-studded bash last night (21 February) in order to pay tribute to the 22 victims of the Manchester terror attack, which occurred after Ariana Grande's Manchester Arena concert. Gallagher acted as a last minute stand-in for Ariana Grande, who was set to sing at the surprise performance before having to pull out due to illness. Now it appears that the Break Free singer was watching the tribute, and may have shared her love as an Instagram Story. According to fan Twitter account Ariana World Update, the singer posted a clip of the moving tribute, with a picture of a heart and a bee. The benefit concert also saw Coldplay lead the crowd in a rendition of Oasis's Don't Look Back In Anger, which has since become an anthem of defiance for the city.